Today’s main news: WeWork, SoFi partner on student debt. Marlette Funding closes largest securitization in company history. Kabbage targets larger businesses with expanded credit lines. LendInvest adds 200 brokers to buy-to-let panel. Signicat builds out identity assurance as a service with $2M fundraise. Today’s main analysis: France’s alternative finance sector grows by 50% while equity crowdfunding shrinks. Today’s thought-provoking articles: How Noto found room at SoFi. Why banks should rethink fees. Why P2P lending should fill the void in SME financing in India. Indonesia’s fintech lending boom exploits bank loans shortfall. An interview with Kabbage’s CEO. Elevate appoints former PayPal executive as chief credit officer. Judge rebukes Consumer Financial Protection Bureau. Should you buy a home with crowdfunding? Best investment funds of 2018. House committee on financial services to hold fintech marketplace hearing. LendInvest enrolls over 200 brokers to buy-to-let panel. Ranger Direct Lending expects arbitration decision by mid-April. Significat to build out identity assurance as a service after $2M fundraise. France’s alternative finance sector grows 50%. 3 things that could drive fintech investment through the roof. Investly seeks 500K GBP through Seedrs. IFM Investors increases stake in Decimal. Why P2p lending should be allowed to fill the void in SME financing. Fintech lending exploits bank loan shortfall. Bank, fintech, telco partnerships will drive financial inclusion. Online lending platform SoFi announced on Monday that it has joined forces with WeWork to help WeWork’s more than 3,000 employees and over 175,000 members take on their student loan debt. The lender revealed that this is its first SoFi At Work partnership to extend beyond a company’s employees to include customer base. Twitter’s (TWTR) outgoing COO (chief operating officer), Anthony Noto, quietly worked out his exit from the company. When the Wall Street Journal broke the story that he was considering taking up the job of CEO (chief executive officer) at SoFi, both Twitter and SoFi were tight-lipped at the time. But only a few days later, Twitter confirmed that Noto was departing, and SoFi confirmedthat Noto was joining its team. Who made room for Noto at SoFi, and what might follow after he leaves Twitter? Given SoFi’s ambitions and the ambitions of Square (SQ), the company run by Twitter CEO Jack Dorsey, Noto and Dorsey appear to be on a competition course. SoFi and Square both have ambitions of becoming full-service banks. And Noto, a former Goldman Sachs (GS) banker, has made it clear that this is a course he would like to pursue once he joins SoFi. Square, which supplied $303 million in loans to customers in 3Q17 and has supplied over $1.8 billion in loans overall, already faces competitive pressures from Amazon.com (AMZN) and PayPal (PYPL) in the alternative lending market. Marlette Funding, LLC, the parent company of Best Egg, announced today it closed its fifth proprietary “MFT” securitization. Approximately $495 million of Best Egg loans were financed via $464.3 million of MFT 2018-1 Notes with four classes and one class of Certificates, with certain loan sellers retaining risk on a portion of the Notes and/or Certificates. This is the first securitization of 2018 bringing the total program issuance to date to $1.7B, with capital provided by a broad set of investors. The transaction was significantly oversubscribed, upsized and successfully priced, reflecting Marlette’s differentiated product offering and superior credit performance. Underwriting the transaction were Goldman Sachs, who served as the structuring agent, Citi, Deutsche Bank and Morgan Stanley. The Class A, B, C and D fixed-rate Notes were rated AA (sf), A (sf), BBB (sf) and BB (sf), respectively, by Kroll Bond Rating Agency (KBRA). Year over year, Best Egg has demonstrated impressive scalability – 66% year-over-year growth in originations with only 9% growth in year-over-year fixed operating expenses and 29% reduction in marketing cost per loan. If free checking accounts aren’t already a thing of the past, perhaps they should be, now that consumers are demonstrating that if something is valuable to them, they’ll pay for it. About 77 percent of people have a “free checking account” at their bank, according to a studyfrom Cornerstone Advisors’ Ron Shevlin published last week. But nearly every free checking account holder paid at least one fee in the 12 months leading up to the survey. Out of 1,555 surveyed, 26 percent paid a third-party bank ATM fee and 25 percent paid an overdraft fee. They also paid fees to replace lost or misplaced ATM and debit cards, rush fees for those replacements, non-sufficient funds fees, wire transfer fees, international transaction fees, fees for overdraft protection and “extended overdrawn balances,” for stop payments and for statement copies, check copies and check image services. But banks have been reporting flat fee income for the past six quarters. Service charges on deposit accounts have hardly moved in several years and banks are changing their overdraft programs to improve customer relationships, which eats into that fee income. Bank of America has one of the most competitive mobile and digital banking offerings and no longer needs to give people an incentive to bank digitally instead of at branches (those were the terms of the account; those who wanted branch banking and paper statements paid an $8.95 monthly fee that was waived for customers who agreed to do all their banking digitally). Almost 60 percent of people indicated they would consider switching accounts if their primary financial institution offered a hypothetical Amazon-like bundled checking account — which would include basic checking account services plus cell phone damage protection, ID theft protection, roadside assistance, travel insurance and product discounts — for a $5 to $10 monthly fee, Shevlin found. After previously securing a $200m asset-backed revolving credit facility from Credit Suisse in 2017, Kabbage has announced it will be offering lines of credit of up to $250k in an effort to attract larger businesses. The expanded product will provide large businesses with greater purchasing power for longer-term investments, and is the largest credit line available from any online lender yet. A recent survey of 800 small businesses conducted by the platform showed that more than 73 per cent of businesses expect to increase their revenue by more than 20 per cent in 2018. I had the pleasure of interviewing Rob Frohwein, the CEO and co-founder of Kabbage, for the 11:FS Connection Interrupted podcast. Elevate Credit, Inc. (“Elevate”), a tech-enabled provider of innovative and responsible online credit solutions for non-prime consumers, today announced the appointment of Brian Biglin as Chief Credit Officer, effective immediately. Elevate also said it has granted inducement stock awards as part of Mr. Biglin’s employment. He served as Chief Credit Officer at Bill Me Later when it was acquired in 2008 by PayPal, and he continued until 2014 as Chief Credit Officer at PayPal, where he helped grow the portfolio from $400 million to $6 billion and managed credit through the Great Recession. Mr. Biglin subsequently was Chief Risk Officer at loanDepot.com and at Intuit. At loanDepot he built a new consumer lending platform and helped create the first personal loan securitizations for the company; at Intuit he reduced fraud losses, improved customer experience, overhauled operations and increased efficiencies. Only a small handful of companies currently offer mortgages through this method. One of most well-established, SoFi, offers mortgages in 29 states and the District of Columbia through its peer-to-peer lending platform, which is a type of crowdsourcing where individual investors contribute through a lending platform, and in return earn interest on their investment, paid for by the borrower. Feather the Nest offers a crowdfunding registry, where friends and family can donate toward your real estate goals. Every donation to your registry is charged a percentage of the amount given as a transaction fee. LendInvest has formed a national panel made up of over 200 brokers, packagers and other introducers, following the launch of its buy-to-let product. The lender launched the BTL product – which is only available via intermediaries – in late November. LendInvest believes that assembling a panel of this size in just 10 weeks demonstrates the appetite brokers have to get behind the product. Ranger Direct Lending Fund PLC said on Monday it expects arbitration against Princeton Master Fund to conclude by mid-April. The annual Alternative Finance & Crowdfunding Barometer compiled by KPMG for the French Crowdfunding Association (Financement Participatif France, FPF) shows that in 2017 the French Alternative Finance market grew by 50%, driven by SME lending growth, and came close to the billion euro mark, at €940 million. Crowdfunding, as a subcategory of alternative finance open to retail investors, grew slightly slower at 44%, and equity crowdfunding shrank. SME crowdlending and crowdinvesting in SME debt grew by 102% to €195 million. The market is heavily concentrated, with the top 5 platforms, Lendix, Credit.fr, Lendosphère, Unilend and Lendopolis accounting for more than 80% of the loans originated. Credit.fr, which was recently acquired by investment firm Tikehau Capital is growing fastest. Funded for more than 80% by non-retail money, Lendix captures more than half of the market. Most recently, the platform raised €120 million of a new €200 million investment fund designed to finance SME loans from 2018 on. 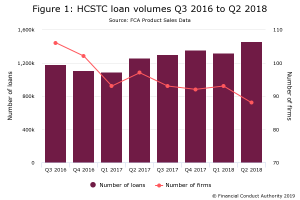 Alternative consumer lending grew only by 17%, from €197 million to €231 million, three times more slowly than in the previous year. The market is dominated by Younited Credit which originated €227 million worth of consumer loans in France, Italy and Spain in 2017. Younited’s growth remained high in terms of number of loans (nearly +50%) but the growth in euros was slower because the company introduced smaller €1,000 to €3,000 loans and stopped promotional campaigns that were waving fees on large loans. French equity crowdfunding raised a mere €58 million, 15% less than in the past year. Last year, venture investment in European fintech companies more than doubled YoY to €2.8 billion, even though the deal count remained almost flat, per the PitchBook Platform. The jump in money invested was boosted by some monster deals, including rounds of well over $200 million each into foreign exchange unicorn TransferWise and student loans startup Prodigy Finance. Investly, an Estonian peer-to-peer (P2P) lending platform, is now seeking £500,000 through its equity crowdfunding campaign on Seedrs. Two–thirds of consumers between the ages of 18 and 29 have a mobile phone and use mobile banking. FinTech improves the lending process by reducing the cost of underwriting through automation of the credit application process. That process includes the review of the credit application, credit score monitoring, and the collection of financial documents. Just as FinTech helps institutions manage their internal credit and trading standards, RegTech enhances their ability to adhere to the government’s regulatory rules set out by various agencies and The Federal Reserve Bank. Fewer fines and litigation costs are possible with RegTech applications. Adapting to new regulations faster can be achieved with RegTech as financial institutions can monitor changes in regulations in real-time. Regulatory reporting times improve with RegTech. IFM Investors, an Australian fund manager, has increased its stake in local digital advice provider Decimal to 15%. IFM acquired the additional stake through the placement of 28,900,000 ordinary shares at $0.03 per share. The Economic Survey 2017-18 tabled in the Parliament on Monday delivered an unsurprising, but troubling figure. The amount of credit or loans disbursed by banks amounted to Rs 26,041 billion as on November 2017, but 82.6% of this was pocketed by large enterprises. For millions of SMEs in the country, banks only lent out 17.4 % of the total credit. RBI data show that NBFCs have increased their lending to the SME sector by giving out about Rs 680 crore to the micro, small and medium enterprises compared to Rs. 480 crore in 2016. These figures do not include the loans extended to SMEs by the P2P industry, which has been recently classified as an NBFC. In 2015-16 more than 10,000 businesses across UK benefitted and an estimated 30,000 new jobs were created due to UK government’s favorable policies for the P2P lending sector. While the Narendra Modi government and the Reserve Bank of India (RBI) have already laid down regulations for certain segments, such as peer-to-peer lending, others like cryptocurrencies and online lending startups are yet to be regulated. Such regulation may mean stricter compliance, but the management at these firms believe it will lend legitimacy to the industry, which is expected to be worth $2.4 billion by 2020. That, in turn, will help them grow faster. Wimboh Santoso, head of Indonesia’s financial regulator (OJK), said while the trend was still a drop in the ocean of overall lending, more than 250,000 people had taken out loans through fintech. Around 30 P2P firms had extended 2.6 trillion rupiah ($193.8 million) in lending as of January 2018, compared with just 247 billion rupiah of lending in December 2016. Another 36 more firms were waiting to be approved, he added. Bank loan penetration in Indonesia, where only one in three adults have bank accounts, was around 34 percent of GDP in 2015, among the lowest of Asia Pacific countries. Loan growth has also fallen below 10 percent since the start of 2016, compared with more than 20 percent during the commodity boom years before that. Speaking on the topic ‘Developing and sustaining unique digital finance solutions for Africa and infrastructure implications’, the Chief Executive Officer, Systemspecs Remita, Mr. John Obaro, said going into the future, there would be more collaboration between FinTechs and other organisations in the financial services sector. “The problem we want to solve is that we want people in the different nooks and crannies of this country to easily join the financial industry. Banks, by their nature, have been able to accomplish this for us. As of the last count, there were 160 million phones in the country. People want to make payment irrespective of whether banks, telcos or fintechs are behind the initiative,” he added. In order to replicate the success of M-pesa, a mobile payment system in Kenya, in Nigeria, the CEO, Soft Alliance and Resources Limited, Mr. Tunde Badejo, urged stakeholders to channel their efforts into advocacy and improve the level of awareness of mobile payments systems available in the country.